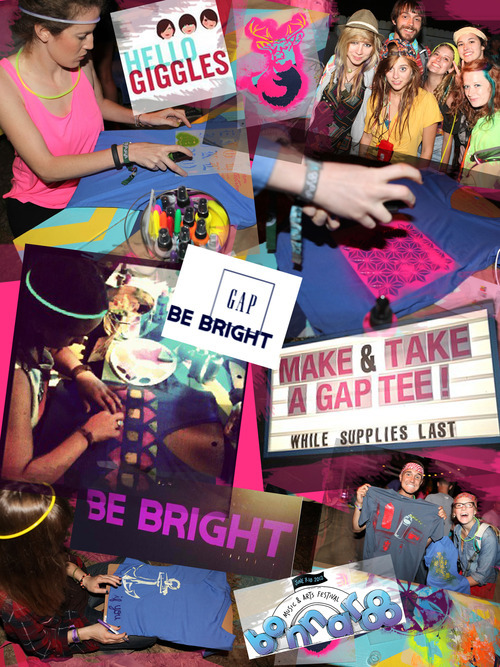 DIY is music to our ears, so it was fitting to partner with Gap for this summers Bonnarro Music Festival. Guests popped the ”Be Bright At Night” event which slid into the early hours of the night. Our good friends at Hello Giggles was on board to help create the ultimate late night hang out where T-I-Y became the new D-I-Y! Attendees got crafty and creative with fun stencils from Stencil1 and fabric paint and sprays from I Love to Create-using Gap’s Favorite Tee as their blank canvas. Hello Giggles and guests got down with some late-night Karaoke sessions, photo booths and loads of delicious pressed juices! 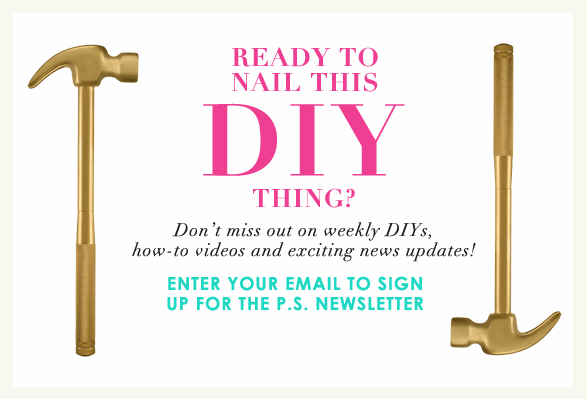 Festivals are fun but DIY is dope, so infuse the two and you can’t go wrong. Click here to see more after dark photos- courtesy of @cobrasnake. P.S.- Exciting stuff! We’re giving away a $250 gift card to GAP! Stock up on tees and duds to DIY or simply layer into your summer wardrobe. To enter, tweet us a #BeBright message and remember to stay crafty.